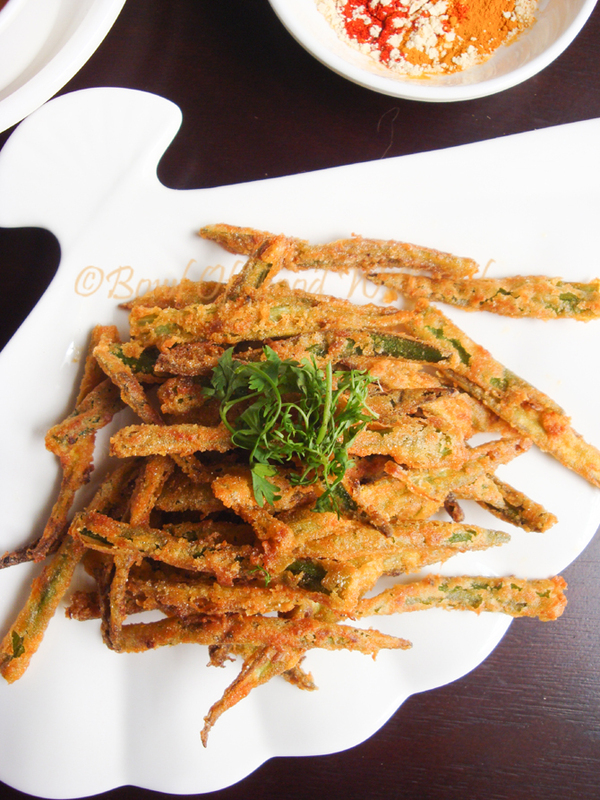 As the Name says Kurkuri Bhindi is nothing but Crispy Okra (lady Finger). 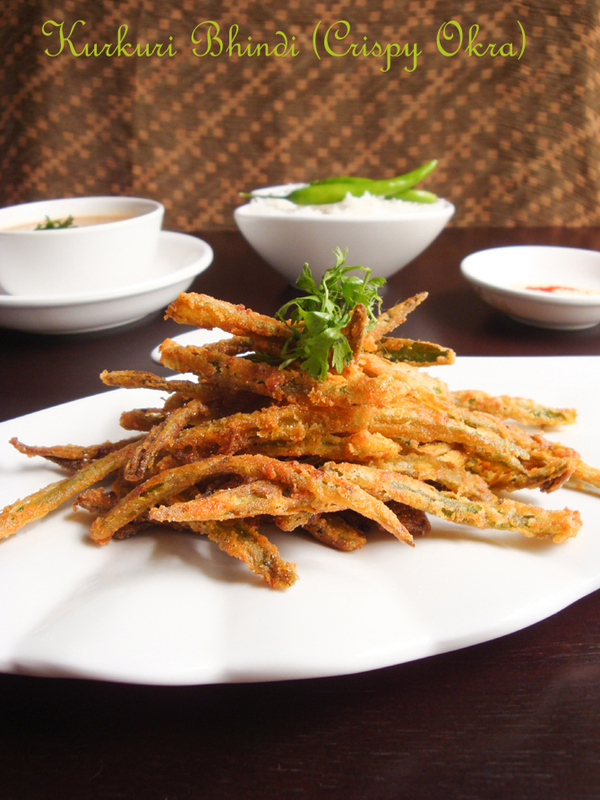 Vertical thin slices of Okars are marinated with spices and then coated with chickpea flour and deep fried which gives crispy crunchy okra. This is a very delicious recipe. This can be had as a snack or starter. I like these with simple dal rice. You can eat as it is. I end up eating half of it before I finish frying all of them :). You will definately love it.Let's make it now. 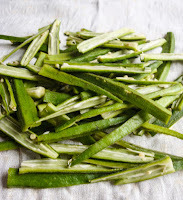 1.Wash and Pat dry the Okra/Bhindi on paper napkin . 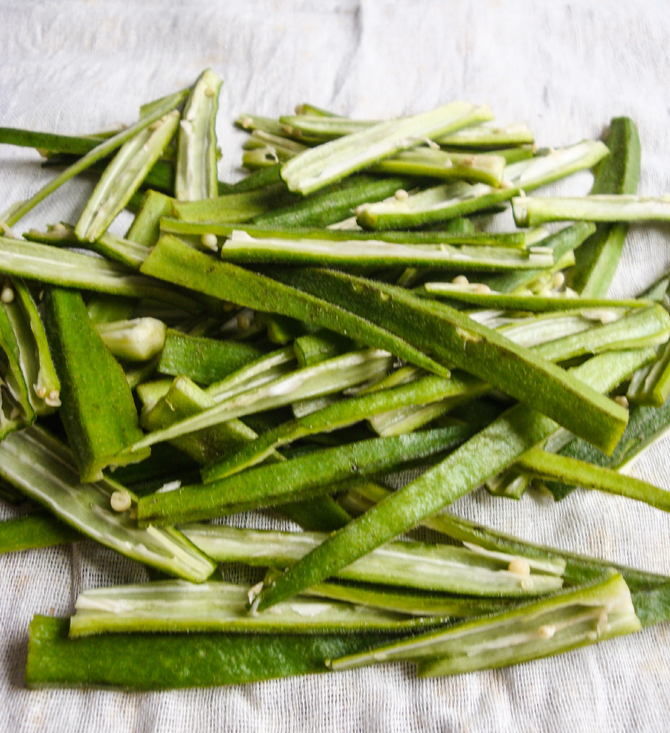 2.Cut Okras vertically into Half and remove seeds using spoon.If some seeds are left, it is fine. 4.In a bowl mix together ingredients under marinade(Cumin Seeds,Coriander Powder,Red Chilly Powder,Turmeric Powder,Dry Mango Powder,Kasoori Methi/Dried Mint Leaves,Lemon Juice and Salt). 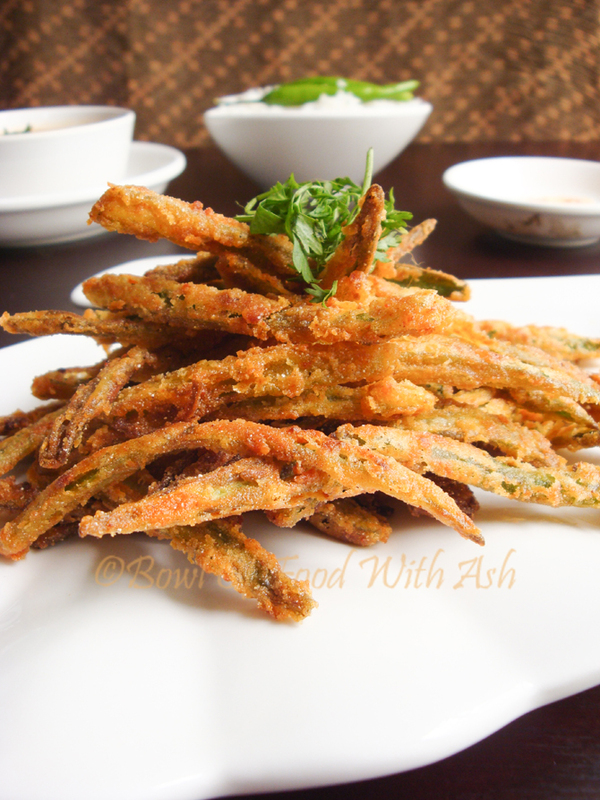 5.Now add the Okra/Bhindi to it and Mix well and Keep aside for 15 Minutes. 6.Heat Oil in Deep Pan. 7.In Another Bowl Mix together Besan,Rice Flour and Red Chilly Powder. 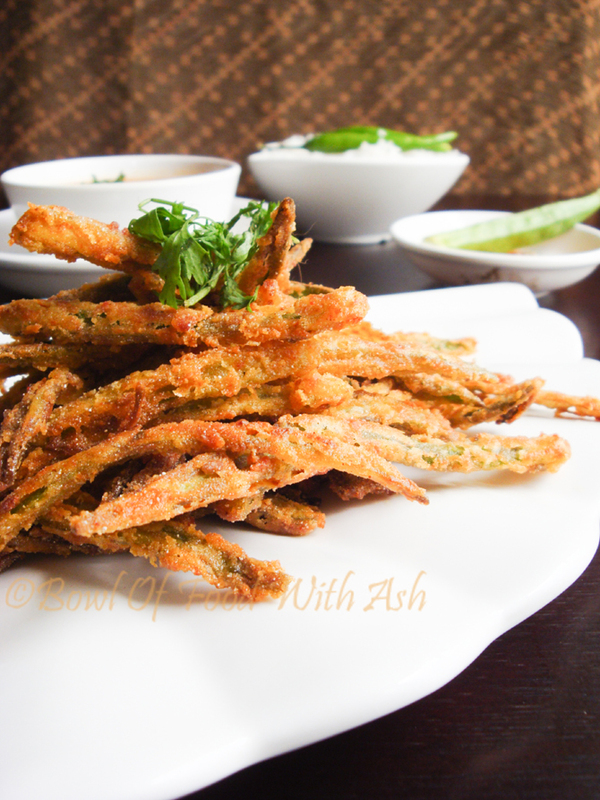 8.When Oil is hot ,Coat the Okra/Bhindi with flour mix evenly and Start Frying. 9.Fry small quantities at a time. Do not over crowd pan with more okras. 10.Deep Fry till golden brown and crisp. 1.Oil should be hot enough, otherwise Okars will become soggy. 2.Do not over crowd pan while frying which again makes okars soggy. Looks great! I am making them now! Thats nice. Let me know how it turned out.